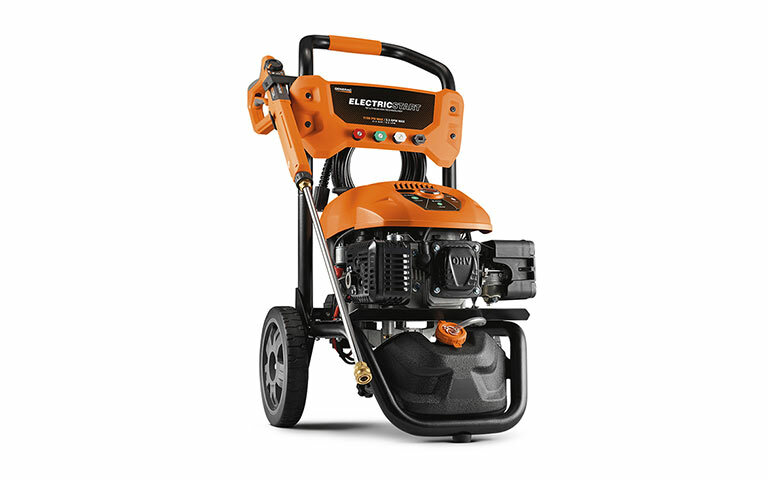 Featuring effortless electric start capabilities and flexible performance settings, the Generac 3100 PSI residential grade pressure washer with Electric Start is simple to start and easy to use. Rated 5 out of 5 by Workingman from Great product. Great product and performance. It a great looking powerwasher. Easy to use, would not think of switch in to another brand. Great job Generac family. Rated 5 out of 5 by MJWMJW from My best pressure washer purchase ever Very, very powerful! I've used it 3 times now and performs to my satisfaction. The only problem I experienced was the on/off switch disconnected from the machine but I was able to put on myself. Uses about a tank of gas to do a average home. Rated 5 out of 5 by kzmoore from Great Buy! 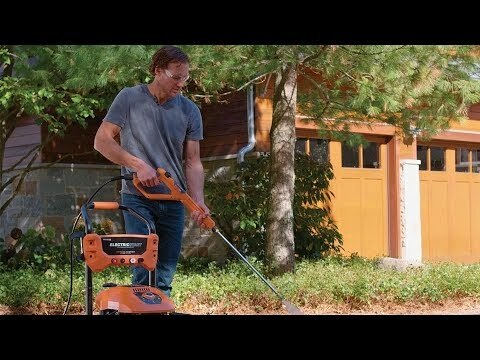 We bought this pressure washer for general home cleaning (driveway, sidewalks, cars, etc.) and it works perfectly! It was easy to set up and get started, and I love how it has the different nozzles. We are very happy with our purchase! Rated 5 out of 5 by kaper from Great Buy Electric start is a great feature for the wife to use. Saves me a lot of time having not to start it for her. Runs very quiet. 3100 PSI 2.5 GPM Electric Start Residential is rated 4.5 out of 5 by 30.